Dr. Goutham Edula completed his medical education from Osmania Medical college and has an MS degree in Biomedical Informatics from Singapore. He has worked as Senior Scientist and Senior Research physician in Eli Lilly in Singapore and AstraZeneca Pharmaceuticals in Sweden for 12 years. 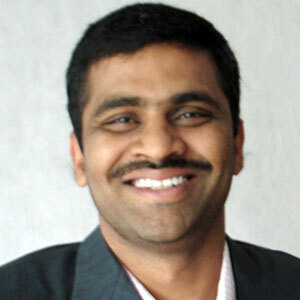 He is the founder director of several medical research and innovation based companies in US, EU, Singapore and India. He has extensive experience in incorporating healthcare related business and building them into successful global enterprises. He lectures to medical students in Europe, and has published 12 research publications and one book chapter.